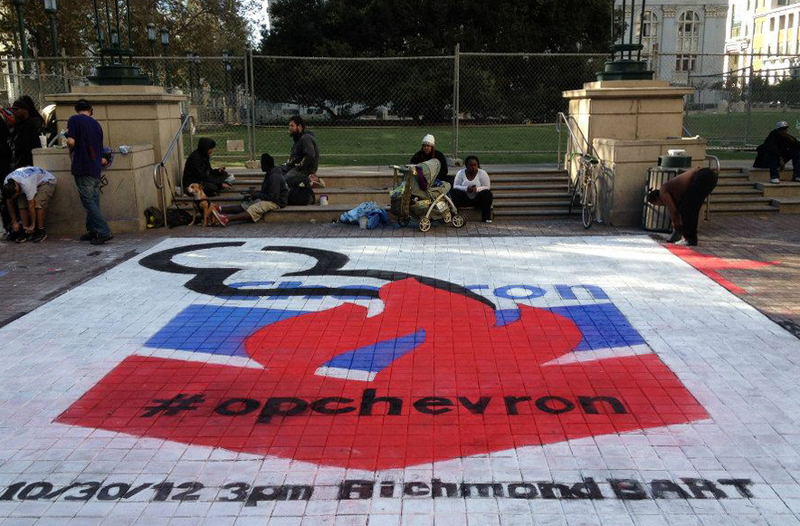 The image was a re-brand of the Chevron logo with the symbol for smoke taken from the no smoking signs coming off of it. 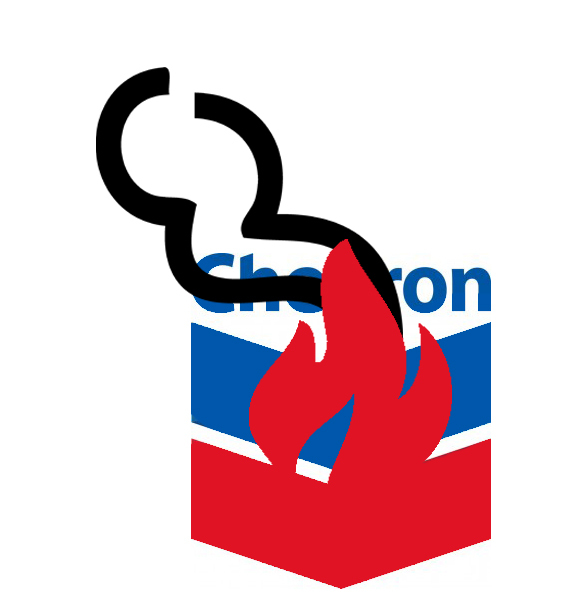 There had recently been a big fire at the local Chevron refi nery in the bay area and there was an upcoming action against them that Melvin was organizing. 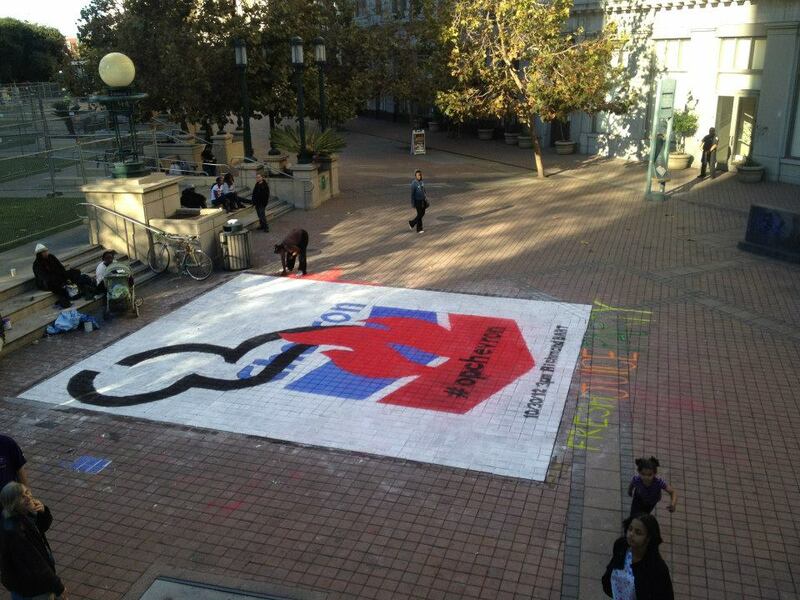 The text was simply the hashtag along with the date and location of the protest. 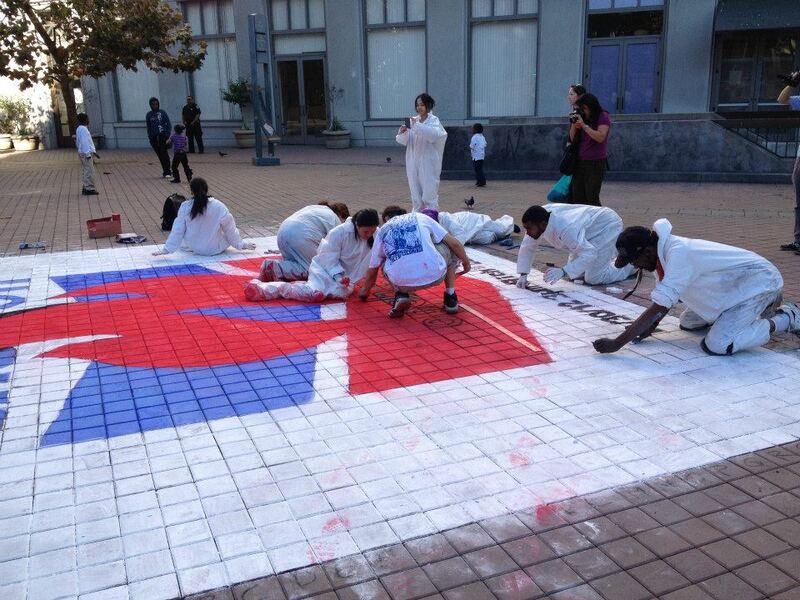 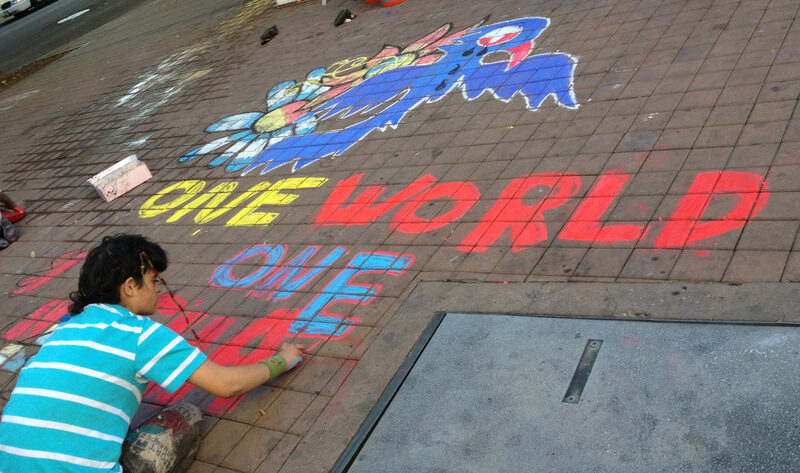 This was the day when Ducky, a girl from Occupy SF, took a whole lot of chalk and did her own project that got a little out of hand.